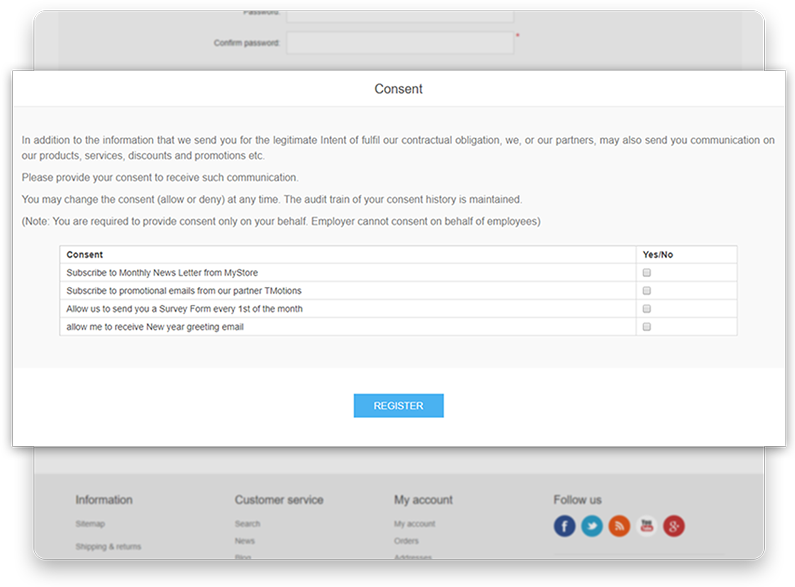 You can test and demo the GDPR Plug-in functionality using these demo stores. 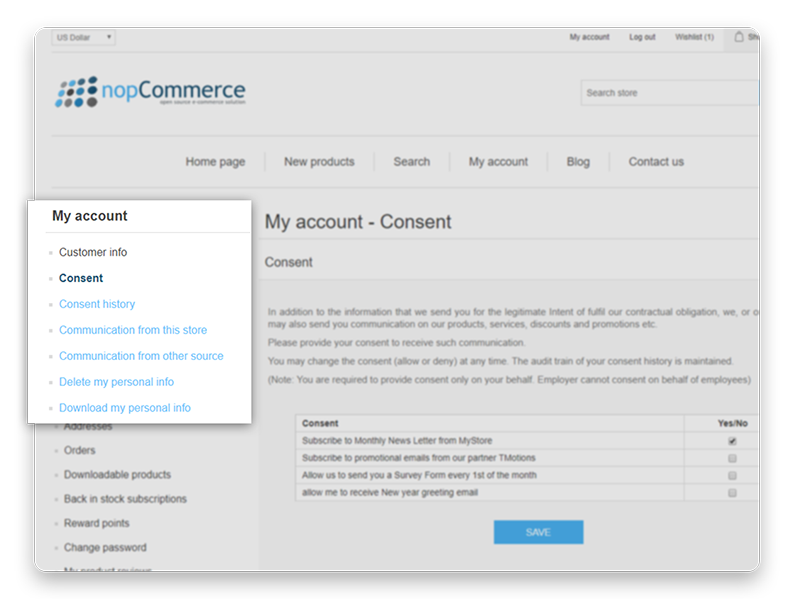 This demo operates on 4.0 version of nopCommerce and contains some sample products. Please note: This is a demo store. For security purposes, this site is reset to its original state every hour. Note that other demo users may have made changes to the site since it was last reset. GDPR will impact virtually any company that’s either based in Europe, or has any customers in Europe. 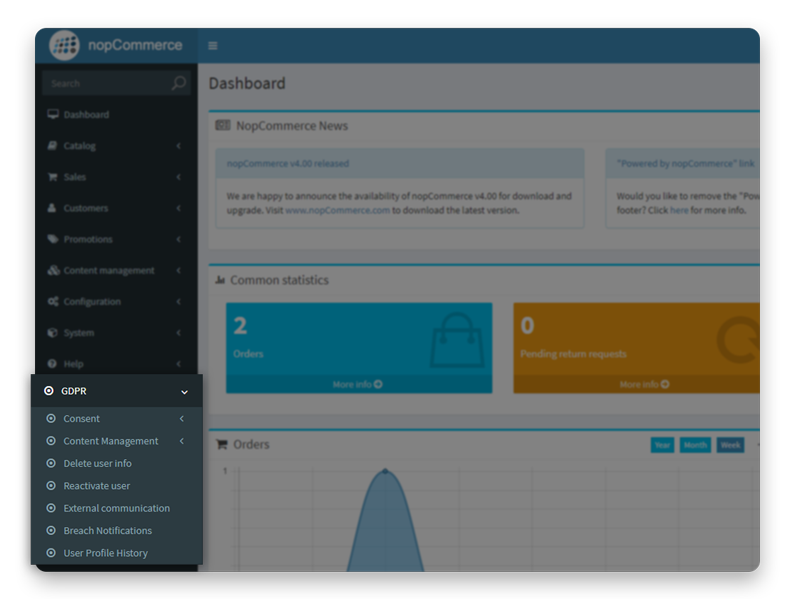 Use widgets for registration page and my profile page, so that this plugin can be used in projects which are using third party themes. Encrypt user data or use a third-party federation service.